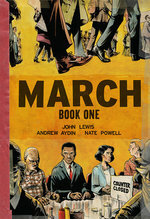 JOHN LEWIS is Georgia’s Fifth Congressional District Representative and an American icon widely known for his role in the Civil Rights Movement. As a student at American Baptist Theological Seminary in 1959, John Lewis organized sit-in demonstrations at segregated lunch counters in Nashville, Tennessee. In 1961, he volunteered to participate in the Freedom Rides, which challenged segregation at interstate bus terminals across the South. He was beaten severely by angry mobs and arrested by police for challenging the injustice of Jim Crow segregation in the South. 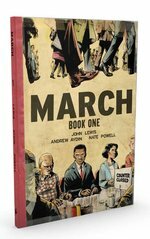 Despite more than 40 arrests, physical attacks and serious injuries, John Lewis remained a devoted advocate of the philosophy of nonviolence. After leaving SNCC in 1966, he continued his commitment to the Civil Rights Movement as Associate Director of the Field Foundation and his participation in the Southern Regional Council's voter registration programs. Lewis went on to become the Director of the Voter Education Project (VEP). In 1977, John Lewis was appointed by President Jimmy Carter to direct more than 250,000 volunteers of ACTION, the federal volunteer agency. In 1981, he was elected to the Atlanta City Council. He was elected to Congress in November 1986 and has served as U.S. Representative of Georgia's Fifth Congressional District since then. In 2011 he was awarded the Presidental Medal of Freedom. Lewis’ 1999 memoir Walking with the Wind: A Memoir of the Movement, called "the definitive account of the civil rights movement" (The Washington Post), won numerous honors, including the Robert F. Kennedy, Lillian Smith, and Anisfield-Wolf Book Awards. 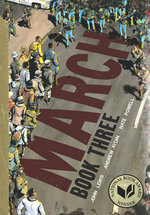 His subsequent book, Across That Bridge: Life Lessons and a Vision for Change, received for the NAACP Image Award. 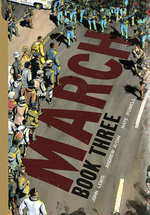 His first graphic novel, March (Book One) — co-authored with Andrew Aydin and drawn by Nate Powell — was published by Top Shelf in August 2013, becoming a #1 New York Times and Washington Post bestseller and an award-winning landmark in the graphic novel field. 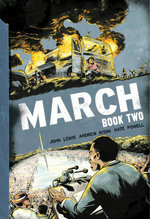 The sequel, March: Book Two, was released in January 2015, and the trilogy concluded with March: Book Three in August 2016. 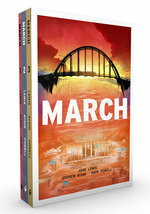 Collectively, the March trilogy has received a staggering array of recognitions, including the National Book Award, Robert F. Kennedy Book Award, Coretta Scott King Book Award, Michael L. Printz Award, Robert F. Sibert Informational Book Award, YALSA Award for Excellence in Nonfiction, Will Eisner Award, Walter Dean Myers Award, Flora Stieglitz Straus Award, and many other honors.